OFTNAI is currently supporting a computer modelling centre within the Oxford University Department of Experimental Psychology. 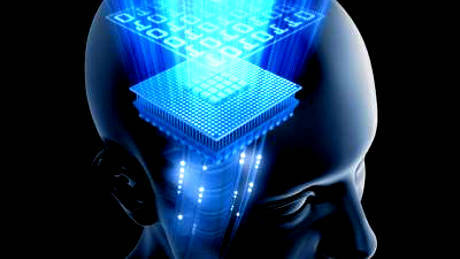 Members of the university research centre are developing models of various memory processes in the brain. Such models contain many thousands of connected neurons, which interact with each other in complex ways. 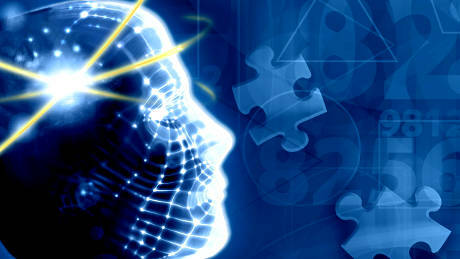 For example, we are investigating the interaction between mood and memory systems in the brain. Associations between memories and mood states, and positive feedback between these systems, may play a major role in depression. In other studies, neural network models have been used to understand how synchronous activity spreads through a population of neurons during epilepsy. These studies can help to shed light on the complex neural dynamics underpinning epileptic seizures, and may help to guide the discovery of effective drugs. Another disease state, which we are investigating through computer simulation, is schizophrenia.This disabling disease affects approximately 1% of the population during their lifetime.We are exploring the possibility that classic schizophrenic symptoms such as paranoid delusions and poor attention may be due to unstable memory states. Our research on memory storage in the brain has contributed to understanding the role of the hippocampus in retrograde amnesia in which episodic memories cannot be recalled, and anterograde amnesia in which new memories cannot be laid down. Revealing how the hippocampus works may help researchers to find new treatments for amnesia, including disorders such as Alzheimer's disease. Medial temporal lobe structures including the hippocampus are implicated in both episodic memory and spatial function. Our research has shown that a single attractor neural network model can store both the discrete memories that characterise episodic memory and the continuous representations that characterise physical space (Rolls, E.T., Stringer, S.M. and Trappenberg,T.P., 2002). Combining both types of representation in a single network is necessary if objects and where they are located in space must be stored. The architecture of an attractor neural network. A set of neurons receive external inputs, which provide memory retrieval cues to the network. Each neuron makes synaptic connections onto the dendrites of all of the other neurons within the network. During memory recall with a partial cue, activity is propagated through the recurrent connections between the neurons. This permits the network to recall the complete memory pattern, which can incorporate both discrete and continuous components. Results from a computer simulation of a neural network trained with both discrete episodic and continuous spatial memories. (Top) Correlations between network activity and stored episodic memories through time. (Bottom) The firing of each neuron through time. Neurons 1-1000 reflect the spatial component of the memory, and neurons 1001-1500 represent the discrete event that is part of each memory. Memory retrieval cues were applied as shown during the solid bars at the base of the diagram. Want to find out more about our research on Motor function in the brain?